I spent the day at the annual International Folk Fair today as is my habit. It is a treat of visual eye candy everywhere you look. The attendees are multi-culti as is the very nature of the event. It reminds me that Madison in not plain vanilla. I have a bunch of pics to share, but they are going to have to wait. 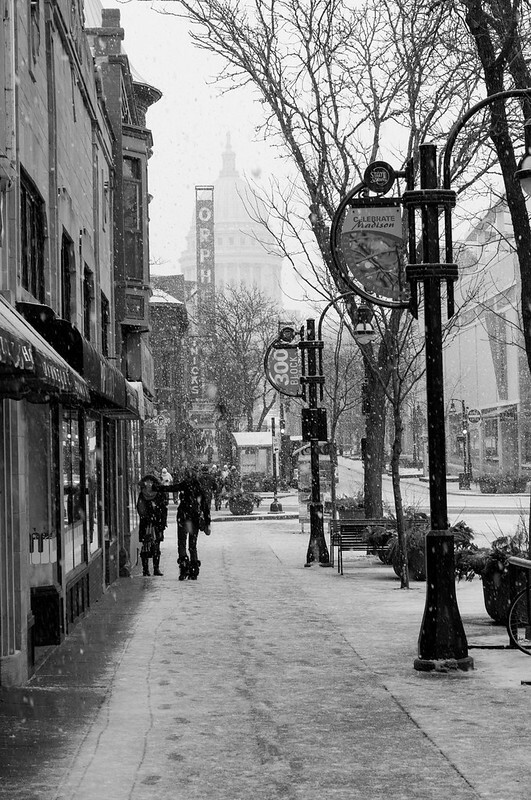 It snowed today, and while I was out and about on State Street, I shot this and liked it enough to share.